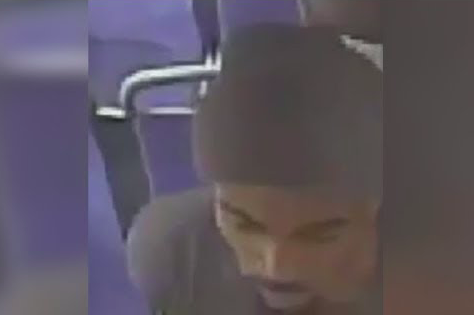 Suspect sought in Oct. 26 assault on SEPTA route 48 bus in Center City. Philadelphia police are searching for a man who was caught on video last month assaulting an autistic man during a SEPTA bus ride in Center City. Authorities said the incident occurred around 1 p.m. on Oct. 26 near the 2000 block of Market Street. Video of the incident, captured on a security camera in the Route 48 bus, shows the suspect repeatedly punching the defenseless victim, a 34-year-old man police who police said is autistic. The physical altercation appeared to stem from a verbal disagreement, according to authorities. The man who was punched suffered minor injuries and bruises in the alleged attack, police said. The suspect is described as a 30-year-old male, about 5 feet 7 inches tall with a thin-built with a goatee. He was last seen wearing a dark knit hat and dark clothing. Anyone with information about this suspect is asked to call Central Detectives at (215) 686-3093.